How you present your eLearning content to your audience is critical. Engaging your learners requires a creative approach to visual design and, more often than not, effective online presentations are creative presentations. Luckily, there are several tools you can use to build your own presentation, such as Prezi, Aurasma, and Powtoon; all you need to do is bring in your fresh ideas. In this article, I´ll share 10 creative ideas for online presentations eLearning professionals may use in order to create an inspiring eLearning product and an unforgettable eLearning experience for their audience. An online presentation should never be a static activity. On the contrary; the more your audience participates, the more effective it is. Integrate as much interactivity as possible into your online presentation by including scenarios, eLearning games, and drag and drop interactions, always making sure that your navigation system is easy enough to use. Once your learners interact with your eLearning content, their levels of engagement automatically raise. Furthermore, consider leaving a thought-provoking question for the end of your online presentation; if you leave your learners with an interesting question they cannot answer right away, and you make them think about it hours after your online presentation is over, you have done a great job. Make sure, however, that this question will be answered later on in the eLearning course. A good metaphor brings an online presentation to life by simplifying a concept and further engaging your learners, as it helps them not only to get your idea instantly, but also leaves a lasting impression in their minds. In other words, by comparing a topic to a situation that your learners already know, you make it relevant, which facilitates the process this information gets transferred into their long-term memory. To incorporate metaphors into your online presentation, think of the point you want to make and use stock images that showcase the comparison. It may take you some time to find the appropriate metaphor, but keep in mind that the more unusual the metaphors you use are, the better they will stand out in the minds of your audience. By integrating stories into your online presentation you can bring your learners to your world. No matter how many facts and figures you need to use for making your point, you can instantly turn boring material into something exciting by sharing a story behind it. Research the background of your subject matter, build a storyline around it, develop your characters, and let them narrate the facts. People love stories; storytelling is one of the best online presentation ideas in order for eLearning professionals to truly capture and engage their audiences, as are all by default more attracted to stories than to abstract ideas. A good video can bring into your online presentation the life that static slides lack. eLearning videos can optimize the effectiveness of your online presentation, as long as you don’t use them too often; a maximum of three short video clips is more than enough. A good idea is to use well known movie clips, as when your learners recognize the material it is easier for them to make connections with the eLearning content presented. Furthermore, you can create and produce your own eLearning videos, so that you can be more focused on your eLearning content and directly communicate your eLearning objectives. Replace bullet points with powerful images. While the adage “a picture is worth a thousand words” is pretty much as cliché as it gets, it is 100% true. Picture superiority effect is not a myth; images communicate concepts faster and more effectively, as they are more likely to be remembered than words, even if these words are only a few and presented as bullet points. But be careful; whether you use stock images or you create your own pictures, you always need to remember that for your visuals to be effective, they must be of high quality and relevant to your eLearning content. Low resolution, cheesy, unrealistic, and irrelevant to your topic images, will not only fail to get your point across, but they will also decrease the effectiveness of you eLearning content, as they can be distracting and confusing. All in all, don’t hesitate to be very selective and take the extra time to find or create aesthetically pleasing images that are directly related to your message. Animations don’t just eliminate language barriers; when used properly, they can turn your online presentation into an almost cinematic experience. However, as it happens with images, they simply don’t work if they are distracting. They can easily get irritating, so choose them carefully and don’t overwhelm your online presentation with lots of bells and whistles. Use tasteful animated characters to demonstrate key points and communicate your more complicated topics, and consider implementing a friendly narration to accompany them, in order to increase your learners’ engagement levels. Include a small dose of humor. Using humor in eLearning can be tricky, either because there is a risk for your audience to get carried away as it may overshadow the subject matter, or your audience’s different humor levels may lead to misunderstandings. To make sure that you neither overdo it nor potentially offend any of your learners, add only small doses of humor and keep them inspirational and positive. If you have the slightest doubt that your witty joke could offend someone, leave it out. It may sound complicated to keep balance, but it is definitely worth giving it a try; humor is not only entertaining, but also capable to help your audience instantly relate to your eLearning content. Finally, consider not relying only on tried-and-tested recipes. To use your online presentation for creating a memorable eLearning experience you need to intrigue your audience by keeping the surprises coming. Enrich your message with eLearning tools and ways that your learners are not expecting and you can be certain that your online presentation will stay in your audience’s minds for a long, long, time. 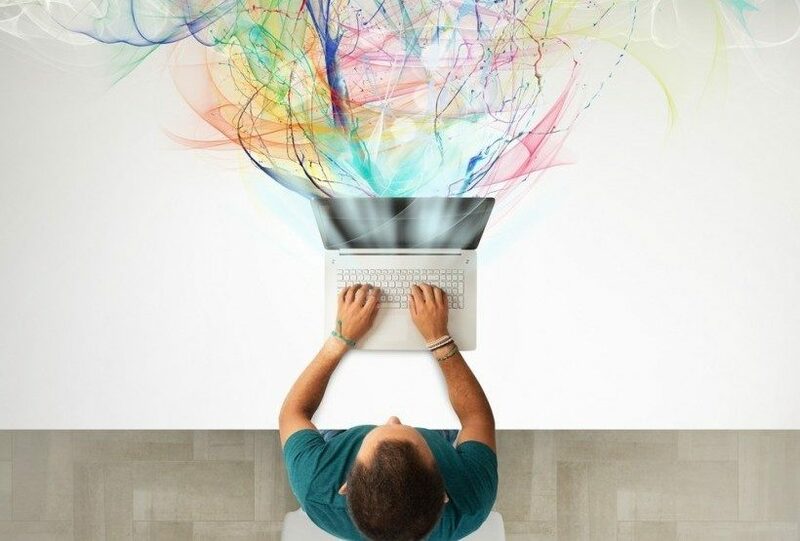 Now that you can take advantage of these creative ideas for online presentations for eLearning, you may be looking for additional ways to bring a creative spark in your eLearning course. Read the article 7 Tips To Use Learners' Creativity In eLearning and explore how you can transform the most tedious subject matter into a unique and memorable eLearning experience.